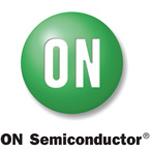 Semiconductor’s technologies and system solutions. localization and higher color rendering indexes. companies can employ smart technology to monitor worker safety. like fall or potential injury and send an alert beacon. is not to be incorporated herein.